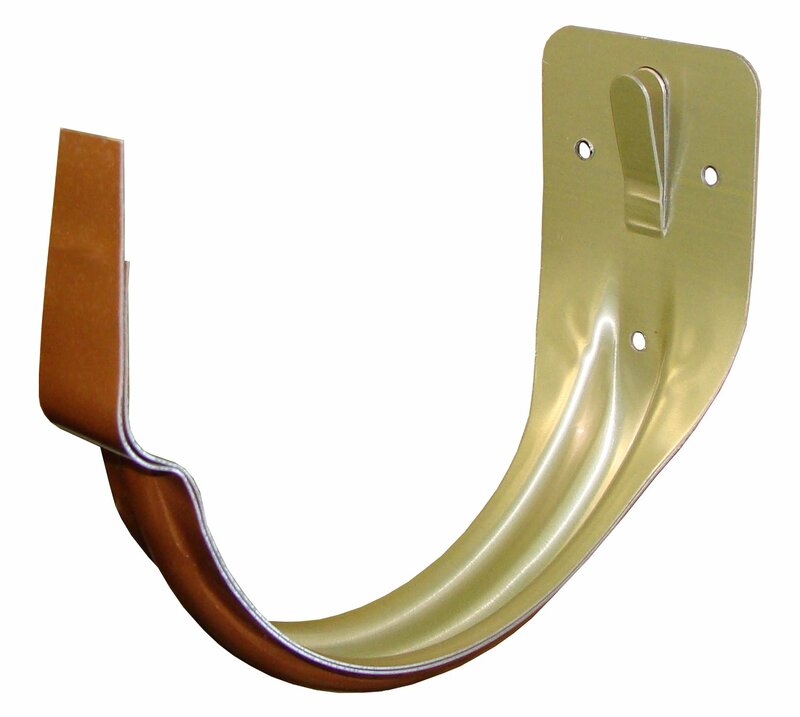 This Aluminum Half Round Outside Decorative Gutter Hanger is a great for a flat fascia board applications. This hanger has two pieces, do not separate during installation. 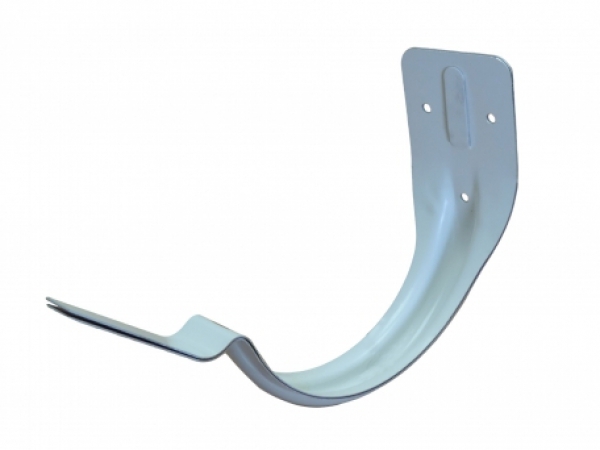 This Aluminum Half Round Outside Decorative Gutter Hanger mounts to the fascia board flush. It doesnt need a spring clip to hold the gutter and hanger together, unlike the #10 combo hanger.